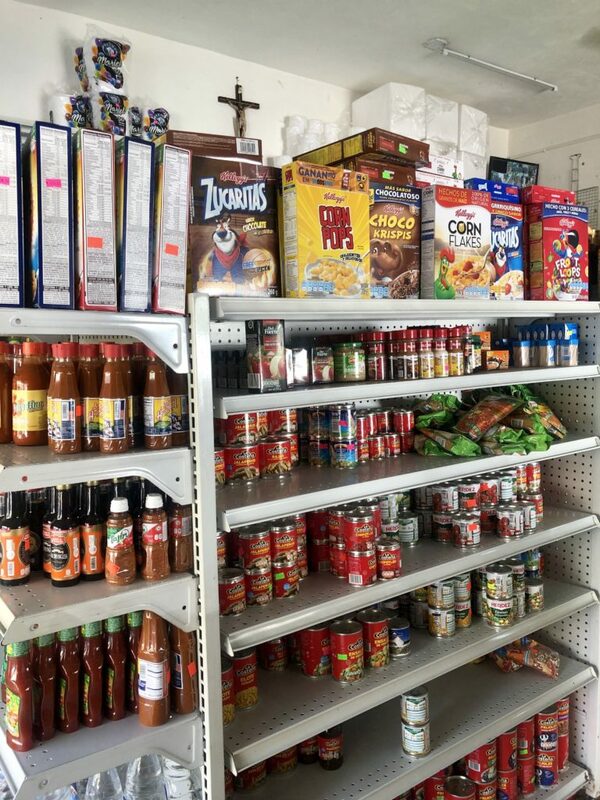 Provisioning (or shopping for food and supplies) is a concern for many cruisers before traveling in Mexico. 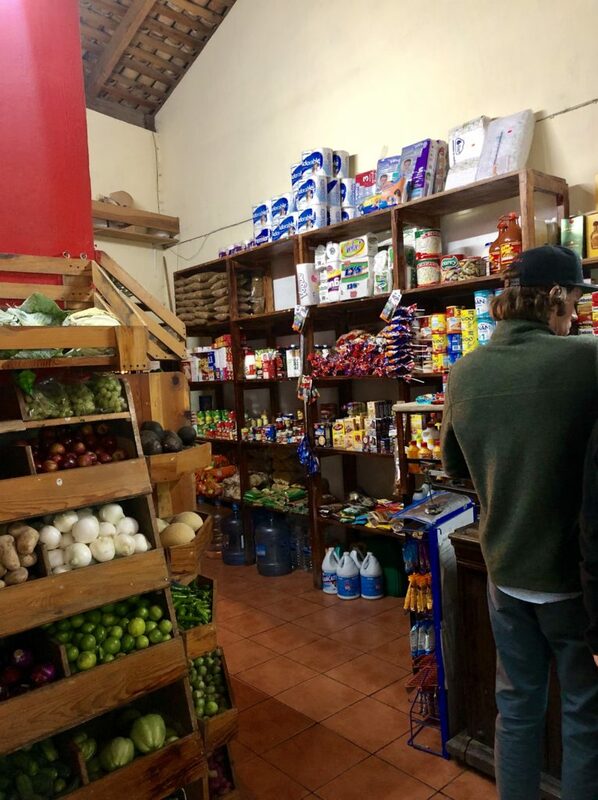 You can take it to the extreme and oversupply with what you can easily find down here: fruit, avos, chips, crackers come to mind (but they taste better below the border anyway), and stuff you can buy at Home Depot because there are actual Home Depots in Mexico. 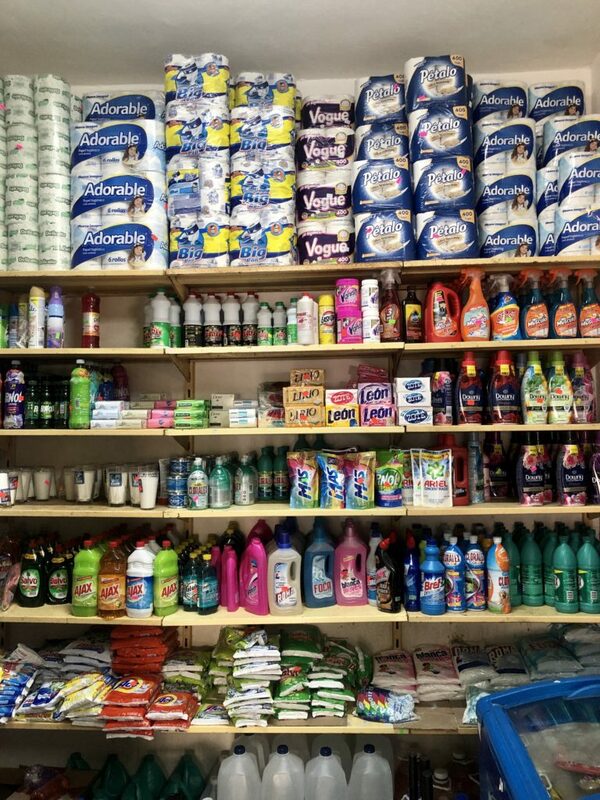 And unless you are brand loyal, Mexico has all the toiletries and food you need. You can misjudge and not have enough of what you want. For example, good sunscreen without a bunch of weird additives was what I wished I had packed more of last season. But without refrigeration or an ice cooler on board, I’m S.O.L. on that one. 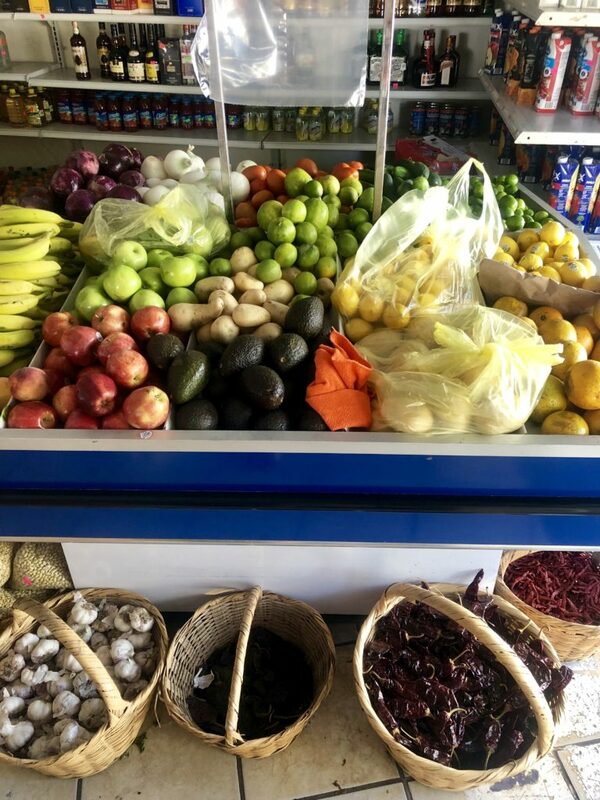 Yes, there are major grocery stores in Mexico. 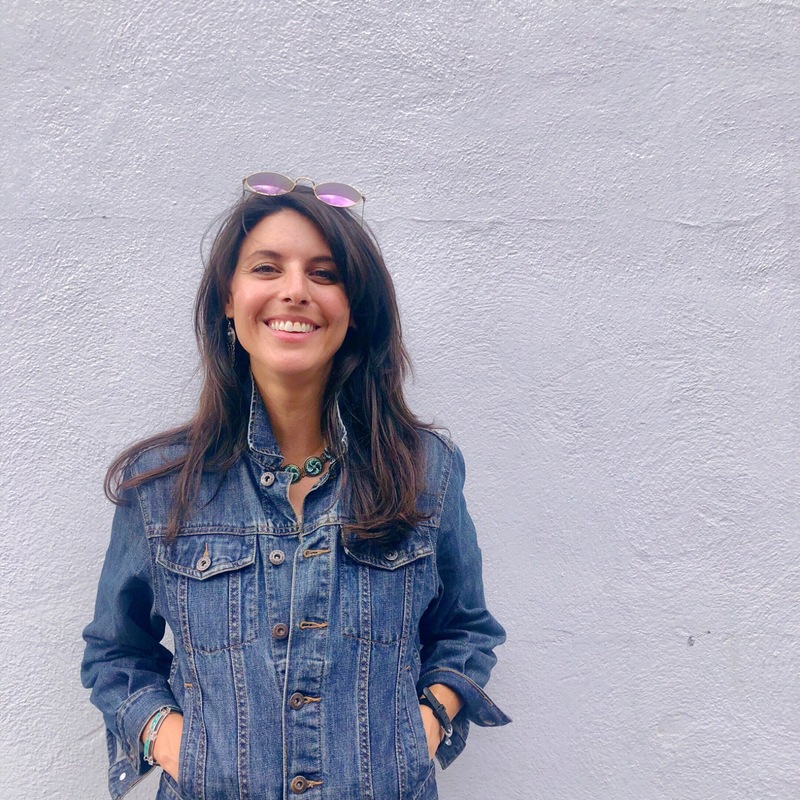 La Comer is a great one that has imported food you would find in America – Kombucha, included! There are also Costcos and Walmarts in different cities, too but no Kombucha in either of those as of this writing. 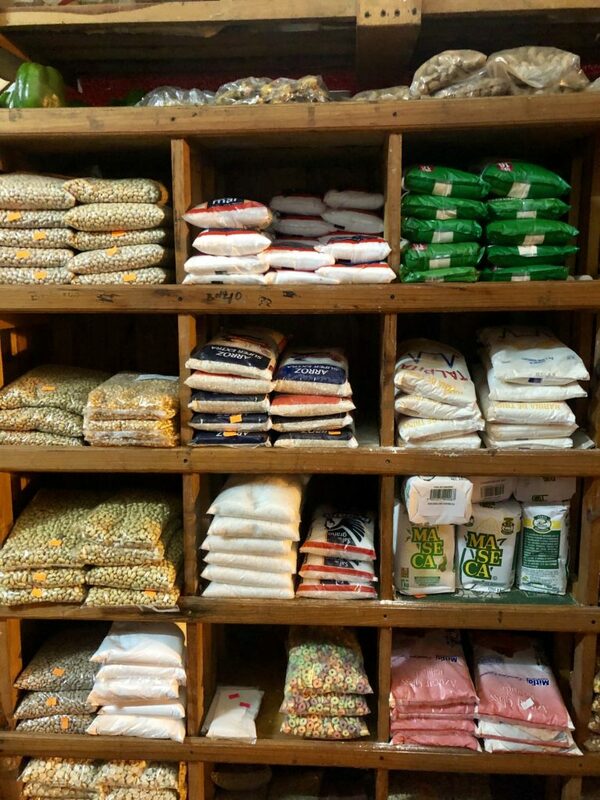 We’ve also found small organic shops in larger cities, but they are few and far between. 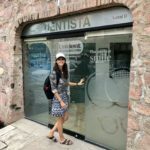 When traveling Baja on the Pacific coast and the Sea of Cortez, the only organic store we found was in Cabo San Lucas, and the prices are twice that of Whole Foods. I should note the AMAZING farmer’s markets you’ll find on various days of the week. We loved the one in Puerto Vallarta. 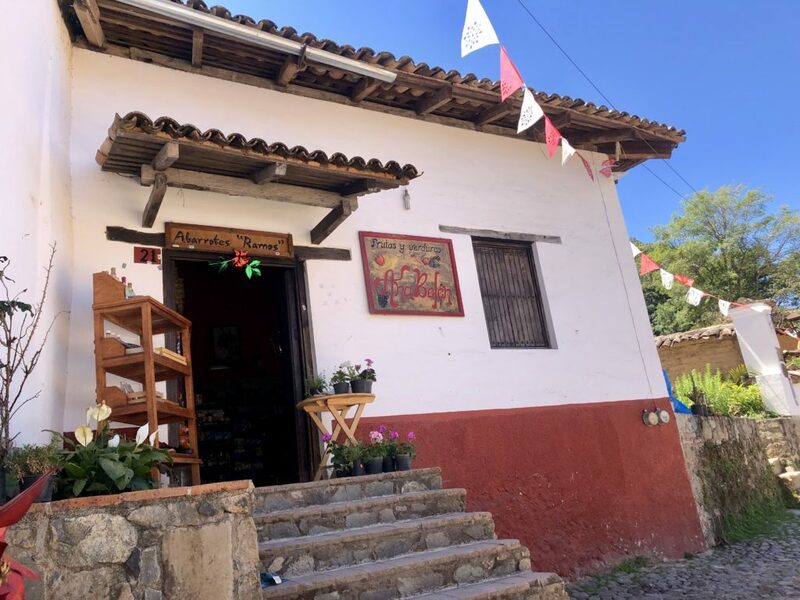 That particular market travels around to different areas on certain days, spreading the love of locally grown produce, live music, delicious handmade food on site, cheeses, bread, and incredible art and clothing. 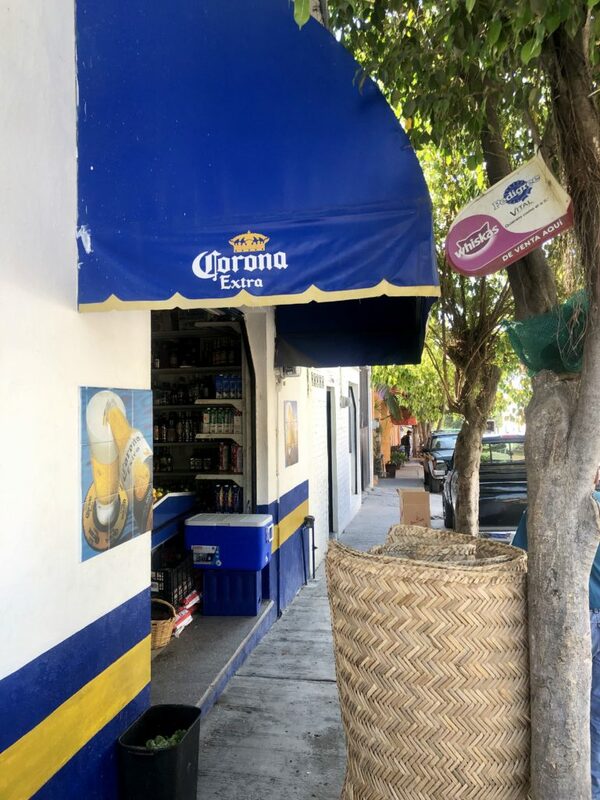 The market hits La Cruz on Sundays and Sayulita on Saturdays, then rotates to the Puerto Vallarta marina on Thursdays. I believe it also goes to San Pancho, too, but I would double check with the locals first. 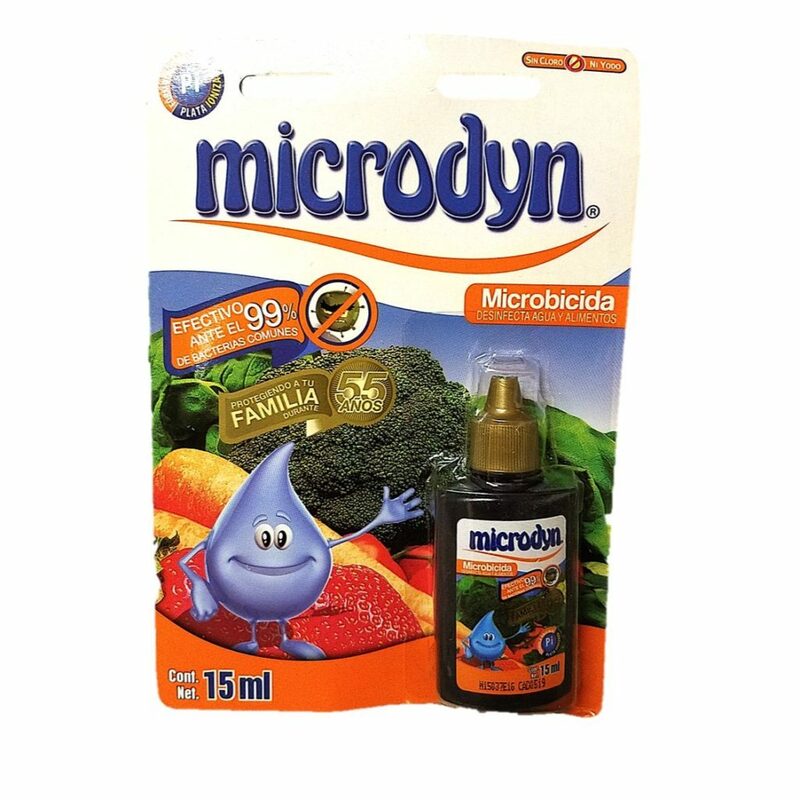 But always soak your greens and veggies in Microdyn to disinfect. 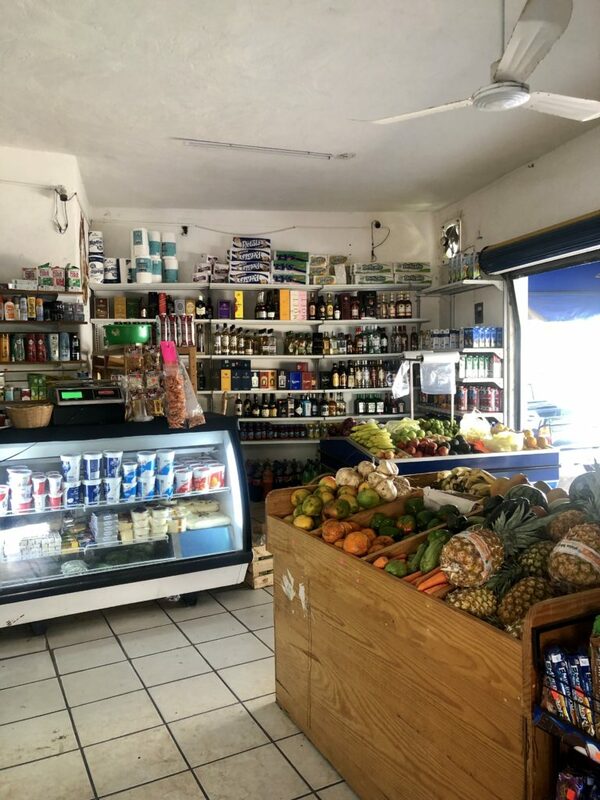 You can find the little dropper bottles at any tienda in Mexico. 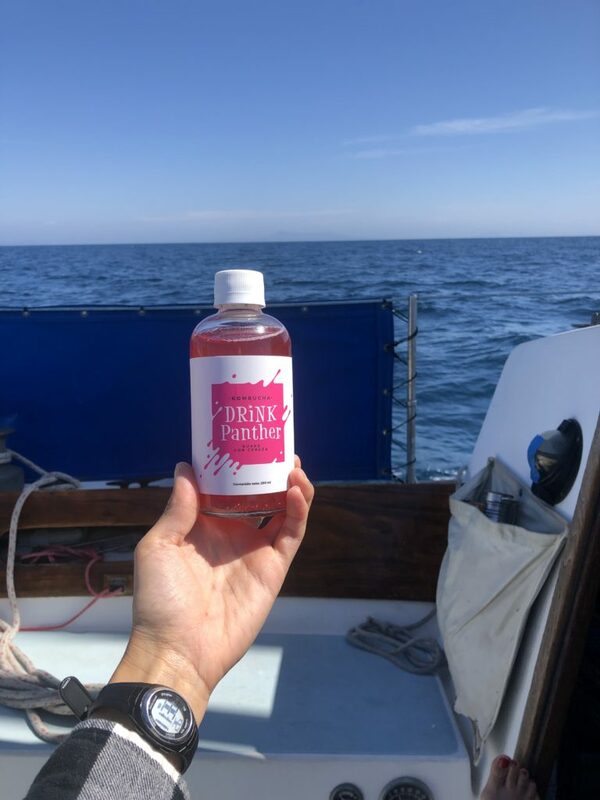 Dr. Bronner’s Soap – this is safe for the environment which means when you do dishes on board, it won’t hurt the reefs or fish! Quality instant coffee (easy for rough passages). Favorite energy bars (can never have enough). Baby wipes (for in-between showers). Yeah. That. Entrance to a La Cruz tienda. We’d stop here once or twice a week. Fruit selection. Behind me were containers of papaya, pineapples, and other tropical fruit. Why I didn’t take a close up, I don’t know. Notice the tropical fruit on the right. The refrigerator section is at the counter and there are fridges that line the back wall mostly for beer, soft drinks, juice and tons of electrolyte drinks. The Mexican cousins to familiar American brands. See any you’d like? And all the cleaning products you’ll need. Highly recommend going to Costco for stronger, Kirkland brand toilet paper and paper towels if you can. 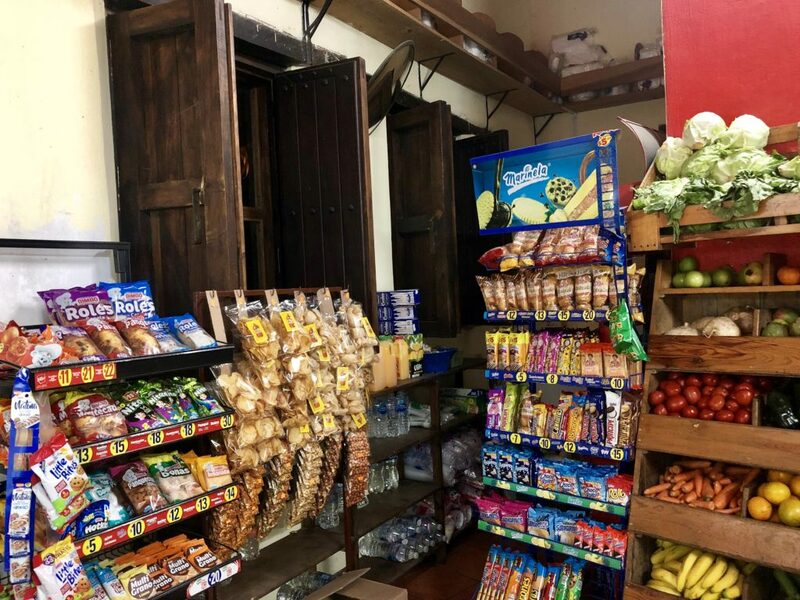 A San Sebastian del Oeste grocery store: This one is not so typical because it’s historic with beautiful woodwork inside. But I wanted to show you anyway. Fruit selection. I want to build one of these in a future home. So pretty! 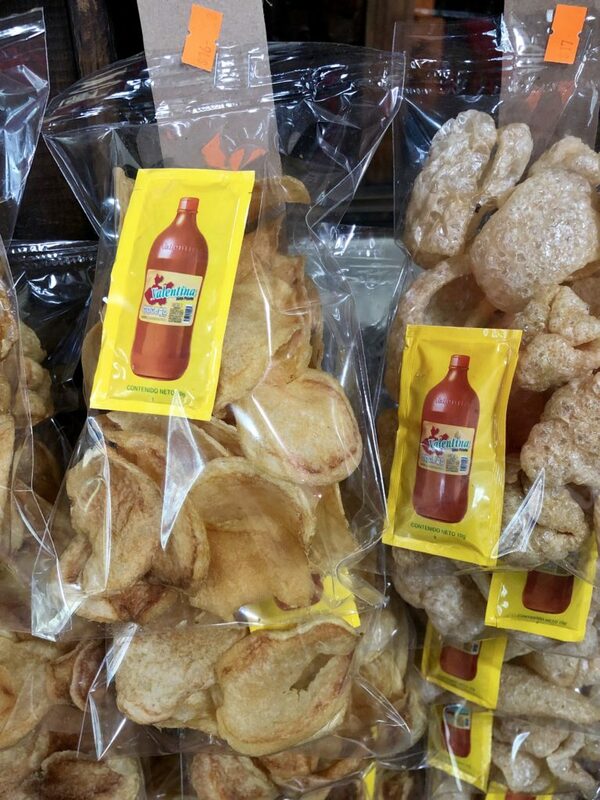 BOMB chips! You can also find guys selling them on the side of the road if you decide to road trip in Mexico (highly recommend!). They are hand cut and fried. I haven’t tried with the hot sauce, but it’s standard on everything down here. Organized like a mo’. 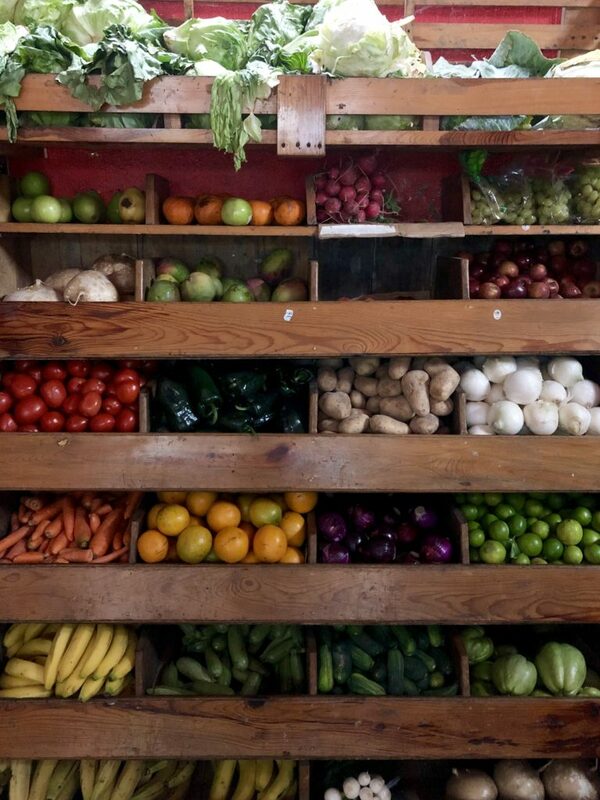 How charming to shop for groceries like this?! 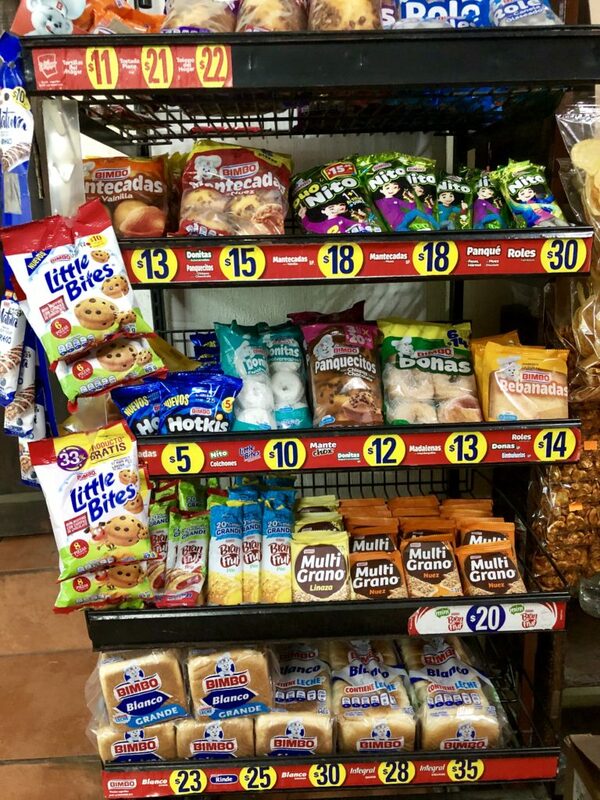 Classic junk food. Hard to find good bread in Mexico. Best to find a bakery. Chris making it rain in the tienda. Look at the ceiling – wood and clay tiles!